"Kindly compare and buy only Govt. Certified (IGI-GTL) or world repute labs (Like GIA, IGI, GRS, AGS, GII, Etc.) 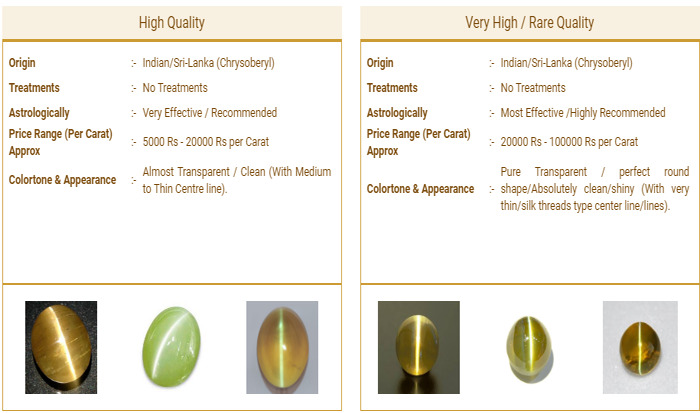 certified Catseye Gemstone only. 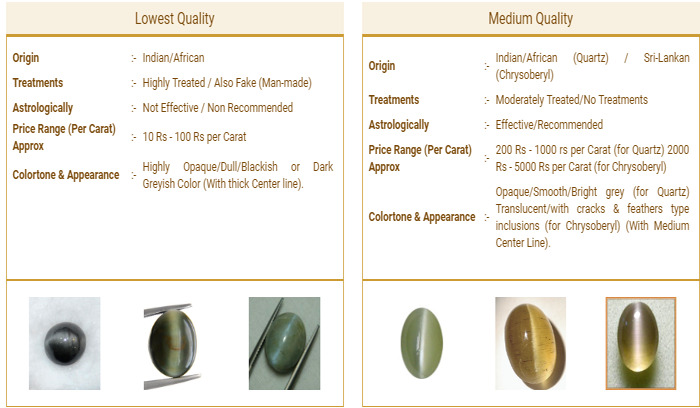 Because only these labs (Not the private or affiliated labs opened now-a-days) have the latest and the most advanced equipments to test these Catseye Gemstones for the various treatments that are being done on them to enhance its color and clarity to dupe and cheat people."